Take a trip through the 'reel' New York on the TCM Classic Film Tour. 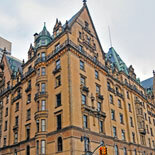 Not only will you get a taste of New York film history, you'll receive a great sightseeing tour of Manhattan. By bus, you will go to neighborhoods rich with history, where some of the most iconic films of all time were made. Hop on the TCM Classic Film Tour with Turner Classic Movies and On Location Tours for this one-of-a-kind sightseeing tour of the Big Apple and explore the most filmed city in the world! 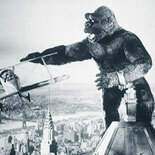 They have selected the best movie sites around Manhattan to share with you in person and in movie clips. You will get a behind-the-scenes look at some of your favorite classic films set in New York City, as your guide entertains, informs and quizzes you with trivia questions while showcasing over 60 filming locations! 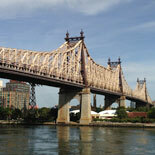 Not only will you get a taste of New York film history, you'll receive a great sightseeing tour of Manhattan. By bus, they will take you to neighborhoods rich with history, where some of the most iconic films of all time were made like. Travel through the Sutton Place neighbourhood to experience a fantastic view of the Queensboro Bridge you will recognize from Woody Allen's Manhattan. See Columbus Circle, Lincoln Center and the Upper West Side, hop off at Zabar's, the well-known market place, featured in You've Got Mail and the famous Dakota Building, home to Yoko Ono that can be seen in films like, Hannah and Her Sisters and Rosemary's Baby. As you make your way to the Upper East Side, you will cross through Central Park, learning about dozens of films set here, including the very first motion picture made in New York City. The sights don't end there. The tour continues down the east side of Manhattan where you will stop for a photo-op in front of Holly Golighty's apartment from Breakfast at Tiffany's. 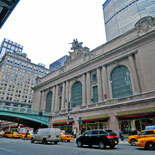 As you head downtown, you will pass locations that have set the scene for countless films, like the Plaza Hotel, FAO Shwarz, Tiffany's, Rockefeller Center, the Empire State Building and much more before ending your journey at the famous Grand Central Terminal. Guests get off the bus at a number of locations along the way, giving you the opportunity to experience the locations and take pictures. Whenever you leave the bus, it is with the tour guide. The tour includes a mix of on-the-bus viewings of locations and stops to get off the bus to explore, all woven into the story of how the locations relate to the movies that have portrayed them. 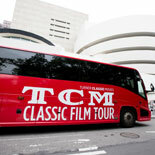 Make your reservations now and get your eTickets for the TCM Classic Film Tour. It is the perfect escape for movie fans, but also a great way to see how much, and how little, Manhattan has changed! 51st Street and Broadway (in front of Ellen's Stardust Diner). 1650 Broadway, NYC 10016. The tour ends at Grand Central Station. Child Ticket: ages 6-9 years old. Children 5 & under are free if they sit on parent's lap for the entire tour. + Reservations are required at least 48 hours in advance of deswired tour date. Tours often sell out. To guarantee a seat on the bus, make your reservations as early as you can. + The tour is led by a local actor. + While food and drinks are not included in the cost of the tour, we do make a quick stop at Zabar's on the Upper West Side where you can purchase a snack using cash or a credit card. In addition, please feel free to bring something of your own if it is neat and you're sure to remove all garbage from the bus at the end of the tour. Alcohol is completely prohibited on the bus. + The tours are conducted in English only. But since so much of the tour is visual, visitors from around the world have enjoyed the tour just the same. + The tour is conducted on a closed coach bus. It is heated in the winter and air conditioned in the summer. + Seating is first come, first serve. If you have a number of people in your party that want to sit together, you should make sure to arrive 15-20 minutes early. Guests that arrive late or right at the starting time are much more likely to have to split up their group. + The buses used on the New York TV and Movie Tours have bathrooms. + The buses are handicapped accessible. You need to let reservations know directly before booking your tickets to arrange a wheelchair accessible bus, if needed. If you will be using a fold-up wheelchair you do not need to inform them ahead of time as all of the buses have room in the luggage compartment to store it. + The tour is conducted on a coach bus, so limited storage space is available. Please keep in mind that there will be several stops of up to 15-20 minutes each where you will be leaving the bus. If you are not comfortable leaving your belongings on the bus during this time, you might want to reconsider bringing them. + While photography and filming are not allowed on the bus portion of the tour, there are some great spots for taking photos and video at our numerous stops along the way.